WHILE talks are ongoing between Ayala Land Inc. and the Philippine Tuberculosis Society Inc. (PTSI) for a possible deal on the latter’s Quezon Institute (QI) property in Quezon City, the real-estate developer is losing no time in consulting with premier architects and urban planners for the project. BusinessMirror sources indicated that Planning Resources and Operations Systems Inc. Architects & Engineers (PROS A&E) will likely handle the design of the QI project if ever Ayala Land snags an agreement with PTSI. An official of the National Historical Commission of the Philippines (NHCP) said the architectural firm is identified with the real-estate development arm of the Ayala Corp., and had consulted with the agency regarding the possible development of the QI lot. “PROS A&E, [Architect] Manuel Mañosa’s firm, coordinated with us a few years ago regarding building on the property,” the official revealed. Architect Geronimo Manahan was the one who particularly talked with the NHCP. “We told him that we needed to see the master plan for the planned development first,” considering the historical significance of the property, the NHCP official who requested anonymity said. The architect, however, did not return with any design plan. Manahan, former dean of the UP College of Architecture, is one of the country’s foremost environmental and urban planners. 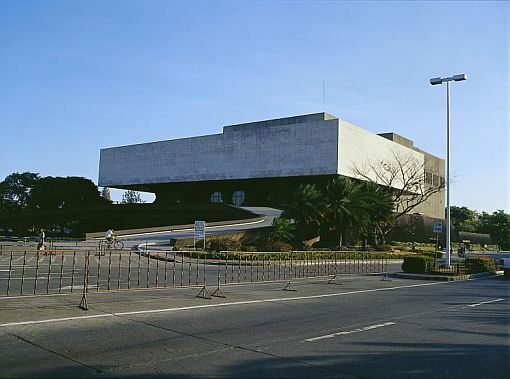 In 2003 he led PROS A&E in designing a master plan for the land use of the Cultural Center of the Philippines Complex, aimed at turning into the premier arts and cultural center in the metropolis. In a brief interview with Manahan via telephone, he confirmed that he did consult with the NHCP on “land use” of the QI property. He said ALI was “planning condominiums” on the lot. The condos, he said, would be built “only around” the main building designed by Architect Juan F. Nakpil, a National Artist. The building currently houses the offices of the PTSI. Asked about the structural integrity of the main building, Manahan said there was a way to preserve it, but declined to reveal any further details of the plans. Instead, he referred this reporter to ALI’s officials. It would be recalled that the Philippine Charity Sweepstakes Office, which used to occupy another old building on the QI property, moved out hastily as its present management said their building was no longer structurally sound. 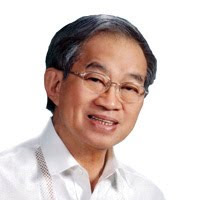 Now 72, Manahan was dean of UP’s College of Architecture, from 1984 to 1990. According to the UP web site, he graduated with a Master’s degree in Town and Country Planning from the University of Sydney in 1968, and obtained a Doctorate of Philosophy in Urban Planning from UP in 1992. A cofounder of the Philippine Institute of Environment Planners, he retired from academe in 1992 to focus on his private practice. Manahan also authored the book, Philippine Architecture in the 20th Century, where he shows the culmination of various architectural influences in the country from the Chinese, Indo-Malayans, Muslims and Spaniards. In 2006 he received the Likha and Gold Medal award from the United Architects of the Philippines, the highest distinction accorded by the 34-year-old organization to a fellow. Other recipients of that award are National Artists for Architecture Leandro V. Locsin and Gabriel Formoso, Cesar Cachela, Manuel Mañosa, Angel Lazaro, Bobby Mañosa and Felipe Mendoza. PROS A&E was cofounded by Manahan, Mañosa Jr., architects William Godinez and Fiorello Estuar, and six other principals. Its expertise is in urban planning and design, housing, tourism and industrial developments, according to industry sources. PROS A&E has had a long relationship with Ayala Land, having designed several of its real-estate development projects. At present, the architectural firm is working on ALI’s Avida Towers in Sucat, Parañaque. NHCP officials have said they need to see plans for any sale or development of the QI property first before these are implemented, due to the historical significance of the property. Earlier, Ayala Land said it had some experience in preserving historical buildings as in the case of Nielson Tower in Makati City, which was built in 1937, and used to be airport passenger terminal and control tower of the old Nielson airport. The airport was part of the Hacienda San Pedro Makati of the Zobel de Ayala family. The airport was also site of the United States Far East Air Force headquarters in World War II. It is very good to tap Architects in the Philippines. This is a nice move!